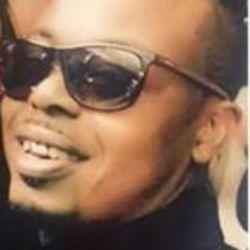 Des Moines, Iowa — Thirty-eight-year-old Lamont Walls died at Broadlawn’s Hospital in Des Moines after being found unconscious in his cell at Polk County Jail on March 25. Two days later, at around 5:30 p.m., Walls was found to be unresponsive by the jail’s staff. He was then transported to Broadlawn’s Hospital, where he died in police custody. Family members and community groups like Iowa Citizens for Justice are suspicious about the circumstances surrounding Walls’ arrest and untimely death. Before being taken to jail, Walls was conveyed by medics to the Methodist Medical Center for evaluation. Later, it was reported that an autopsy found nine small bags of heroin in Walls’ stomach. On March 27, a candlelight vigil was held outside the Polk County Jail to honor Walls’ memory. “We demand answers for our brother,” Carter said.